Way back in September (is it really almost November??) 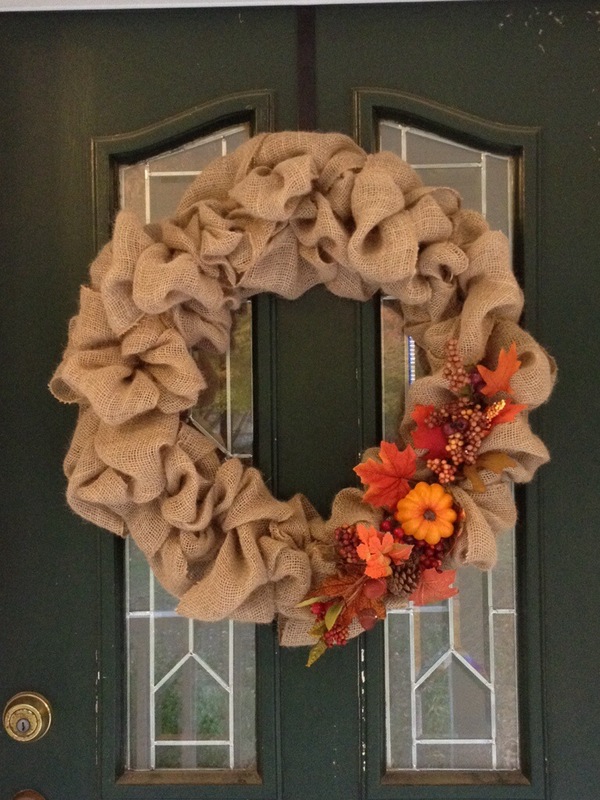 I issued a challenge to Cara & our readers to make a fall wreath out of things you already have. I was really excited to see that several of you accepted the challenge and made some very cute (and gloriously cheap) wreaths! 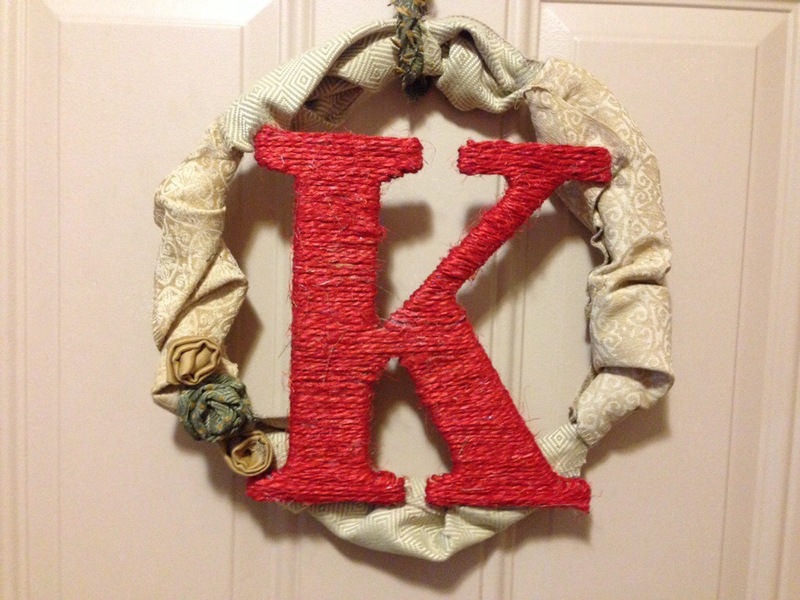 Cara used some scrap fabric, yarn, and an old K that she already had, didn’t hers turn out great? The red “K” really pops against the neutral background, and the flowers are a great touch! 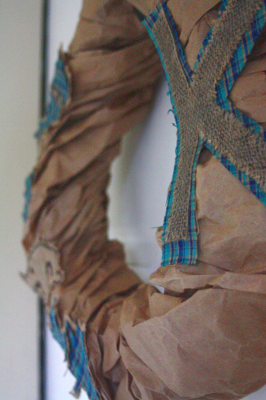 Rebekah used yarn, twine, and some old frames for her wreath. 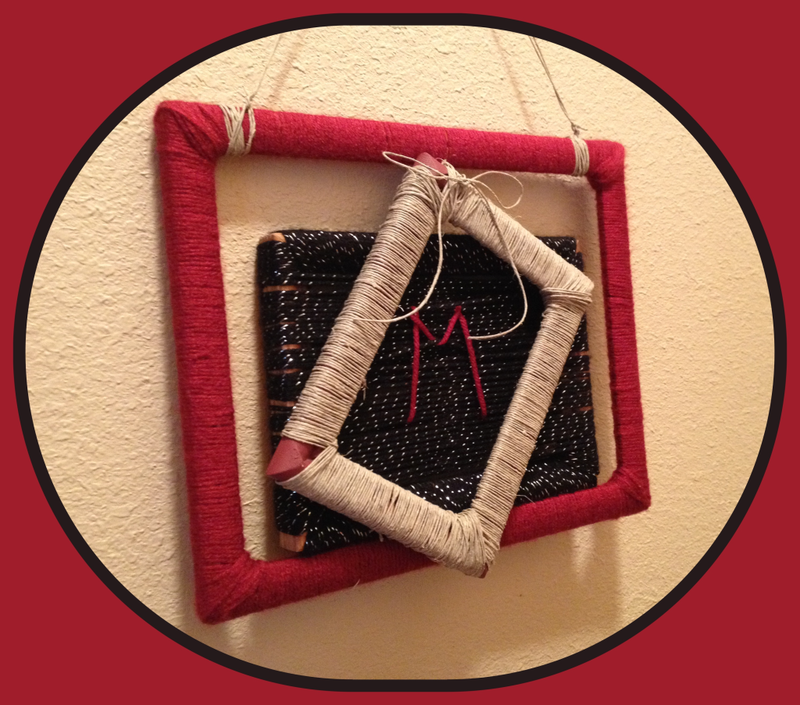 I love how she used the black yarn to fill in one frame and added the monogram, it really brings it all together and personalizes it. 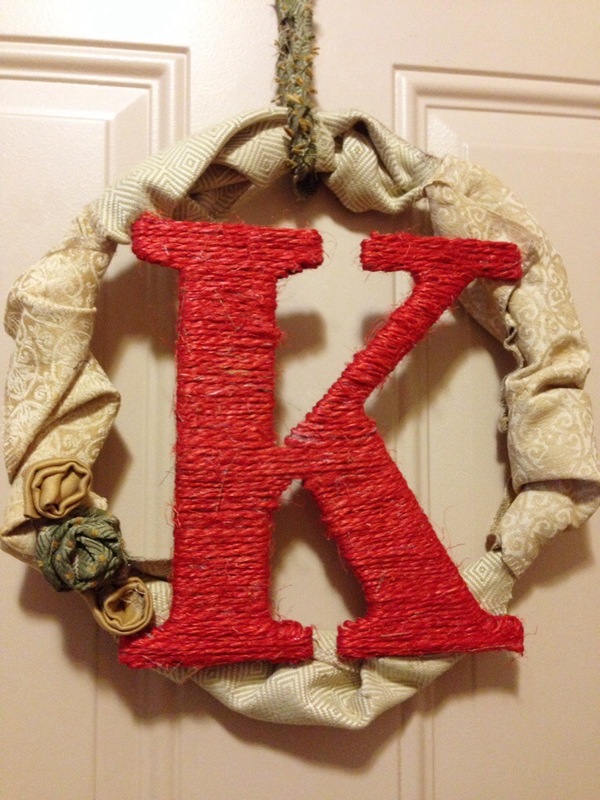 My mom made this wreath with a wreath frame and burlap that she bought (I know, she’s a cheater!) but the decorations she added are things she already had around the house. And anyway, it’s still a cute wreath! And here’s my wreath. 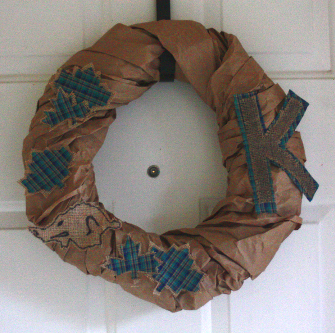 I used a wire hanger for the wreath frame and wrapped it with packing paper. 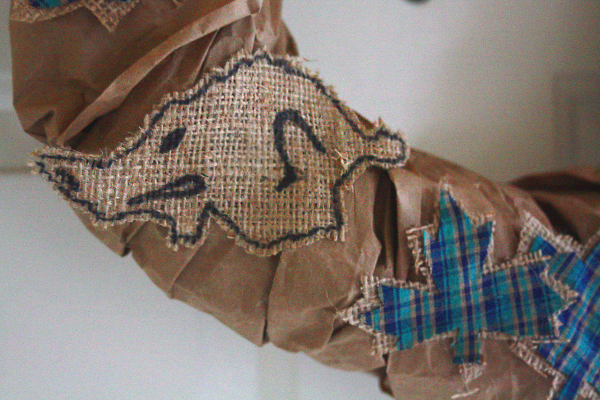 Then I added some burlap and plaid fabric leaves, a K, and a burlap hog. If you made a wreath but didn’t send in a picture yet, you can still email me one at thehelpmates(at)gmail(dot)com and I’ll add it in to this post!